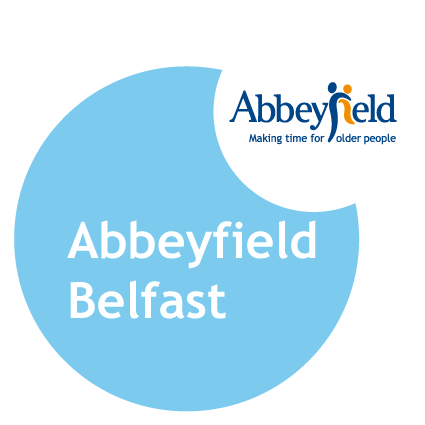 Established in 1960 Abbeyfield Belfast provides supported sheltered accomodation for older people who no longer wish to or feel able to live alone the society also provided valuable volunteering opportunities in befriending residents and helping them with various activities. The Society is a registered charity and as such operates on a not for profit basis. It is managed by volunteers drawn from the local community who together with the dedicated staff are committed to providing a home from home for older people. Abbeyfield's services include affordable housing, traditional home cooking, assistance with laundry and cleaning, 24 hour staff support and an emergency call system. In our houses, you will find a unique blend of independence, companionship, privacy, security and support. Our houses are ideal for people who no longer wish to live alone, or have decided that the responsibility of maintaining their own home is too much. Abbeyfield houses provide sufficient support to allow residents to maintain their independence and continue to lead fulfilling lives. Residency is offered on a permanent or short stay basis. We welcome enquiries and will be happy to meet potential residents and their families to discuss their specific needs, and clarify any questions they may have about our 8 excellent family friendly Abbeyfield houses.